Established in 1870, Sheargold Pianos is a specialist piano shop based in Cobham, Surrey. 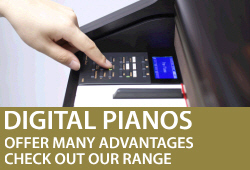 We sell upright pianos, grand pianos and digitals pianos and have a wide selection on show for you to see and try. 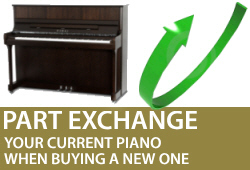 We also buy and sell second hand pianos. If you have a piano to sell give us a call on 01932 866577. With well over 100 years of experience we pride ourselves in offering the best piano advice for beginners. If you are just starting piano lessons we can show you through the range of piano manufacturers and models and help you make the best choice to suit your needs. We regularly move pianos for our customers in Cobham. Whether you are moving housein Cobham or need a piano moved from one room to another we can help. We even offer piano storage. If you are having building work done, to protect your piano we can store it for you until the work is complete and the house is dust free. For more information on piano removals in Cobham call us on 01932 866577. 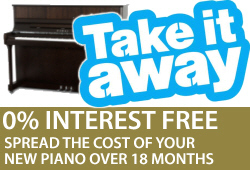 We offer a complete piano hire service in Cobham for customers to rent a piano for 6 months to try before you buy.